On October 9 and 10, the General Coordination of Documentation and Information, which is part of the Sub-secretariat of Administrative Issues of the Executive Secretariat (CGDI/SAA/SE) of the Ministry of Health of Brazil (MH), represented by Maria Resende (General Coordinator of Documentation and Information of the Brazilian MH), Shirley Rodrigues Gonçalves (Coordinator of Dissemination of Technical and Scientific Health Information of the MH Brazil) and Sandra Cristina Teixeira (Commissioner for the VHL area), met at BIREME/PAHO/WHO in São Paulo. The meeting was led by Diego González, BIREME Director, with the support of Managers and teams to discuss the results achieved regarding Cooperation Term TC-93 and the development of TC-95, both formalized through PAHO/WHO Brazil for the institutional strengthening of BIREME and the development of products and services for scientific and technical health information management, aligned to the priorities of the Ministry of Health as well as those of BIREME. In this manner, the promotion of production, access and use of scientific and technical information and knowledge are aligned to the main regional strategies of PAHO/WHO in the period of 2016-2019, as well as to its Strategies and Plans of Action on e-Health, Knowledge Management and Communication and Access and Universal Health Coverage. Moreover, the TC-93 is aligned to the Brazilian Ministry of Health’s 2016-2019 Pluri-annual Plan, which includes applying newly generated knowledge in health practice, inserting priority health issues into scientific research and education agendas, as well as the improvement of health professionals. The report on TC-93 results for the first semester of 2018 was approved after a thorough discussion of each of the 4 (four) Expected Results, characterizing the achievement of each of the established goals regarding information and knowledge management in national health policies, plans and strategies, contributing to the compliance with Agenda 2030. In the context of the TC-95, a revision was made of activities to be developed around the two main lines of action: (1) promote the use of open access information and scientific and technical evidence in the Sistema Único de Saúde (SUS – Unified Health System); and (2) strengthen the management and diffusion of the Virtual Health Library in Brazil. 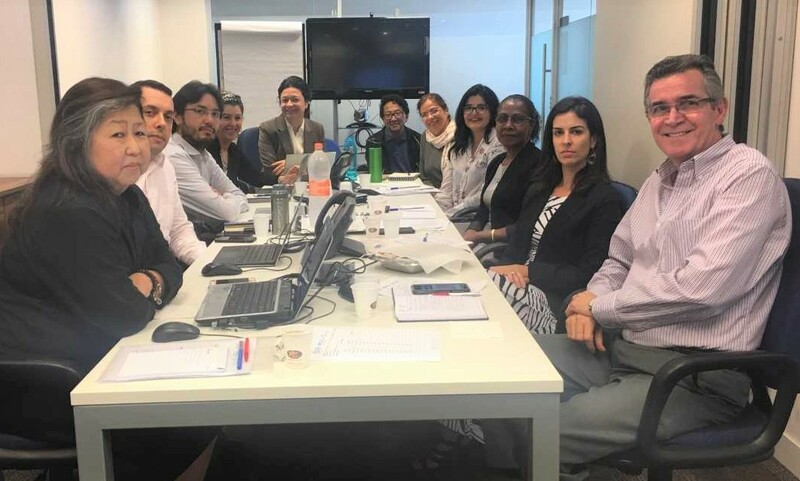 Parting from the consensus of these activities, the BIREME team, in coordination with the CGDI/SE/MH, will follow up on the necessary implementations. An important issue discussed by the CGDI/SE/MH team was the participation of the MH in the 10th Regional Congress on Health Sciences Information (CRICS10), which will take place in São Paulo, together with the 7th VHL Coordination Meeting (VHL7), on December 4 to 6, 2018. The MH will have a stand that will serve as a showcase for the products and services of the Virtual Health Library of the Ministry of Health (VHL MH). The CGDI/SE/MH will also coordinate on December 7th, following CRICS10, the Meeting of the VHL Network in Brazil. During the meeting’s opening ceremony, Diego González, Director of BIREME, stated that “the Brazilian Ministry of Health is one of the main institutional supporters of BIREME since its foundation in 1967, and the experience of networking that has been developed with its Cooperating Centers is a model to be followed in Latin America and the Caribbean”. Maria Rezende, General Coordinator of Documentation and Information of the Brazilian MH also highlighted the benefits of the partnership between the Ministry of Health and BIREME, effectuated through the implementation of the VHL model, as well as its products and services, in Brazil.